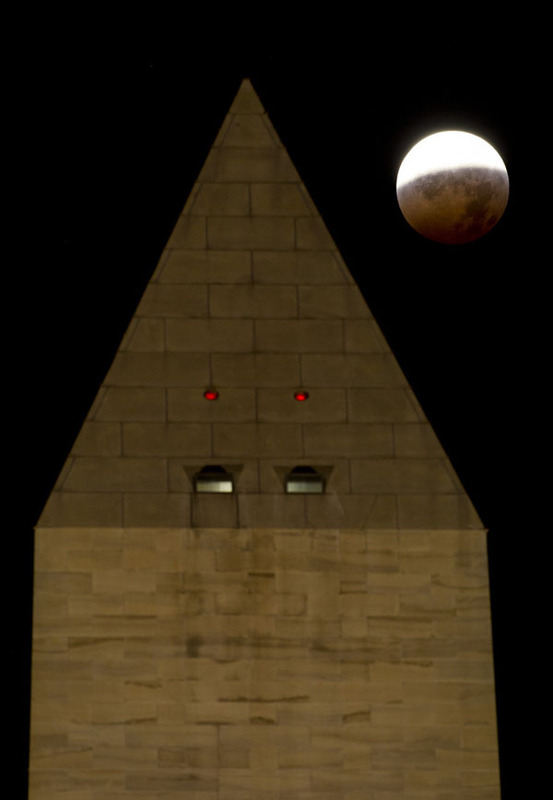 The Washington Monument is seen as the full moon is shadowed by the Earth during a total lunar eclipse on the arrival of the winter solstice, Tuesday, December 21, 2010 in Washington. From beginning to end, the eclipse lasted about three hours and twenty-eight minutes. Well, very basic, nothing exceptional... Why photo of the day? It's the ordinary that makes it extraordinary.